Carbon Steel material with Zinc Plated coating for corrosion resistance. 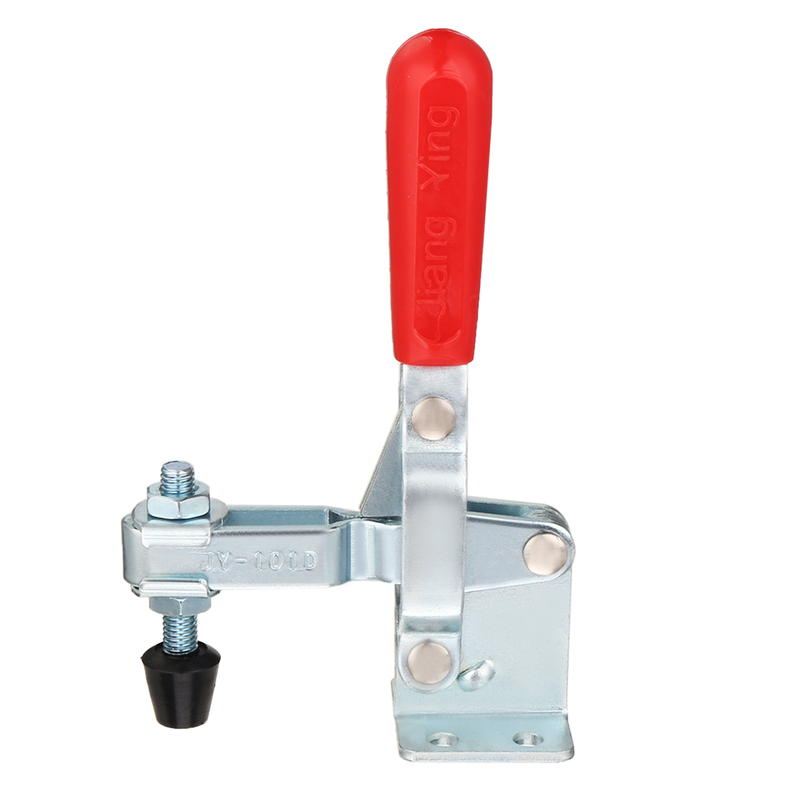 Clamp-Rite Vertical Handle Toggle clamps feature handles that are in a vertical position when the clamp is locked. These hold down clamps direct clamping force perpendicular to the clamping arm. Vertical Handle Toggle clamps are generally available with solid or open clamping bars and flanged bases for mounting to planar surfaces or straight bases for type mounting. A wide variety of and holding capacities are available with industry standard mounting patterns to suit your requirements.